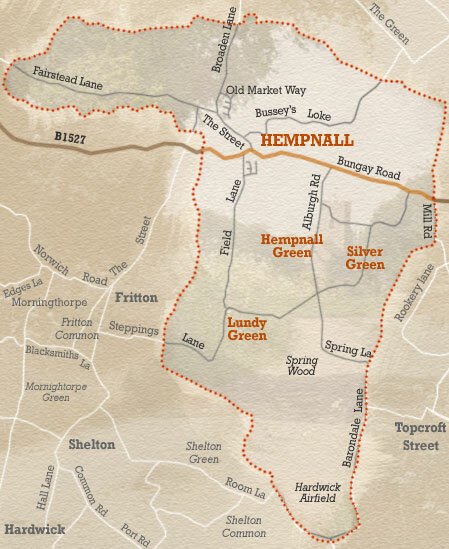 The map below shows the boundary of Hempnall parish and the villages within the parish. Principally these are Hempnall, Hempnall Green, Silver Green and Lundy Green. If you are unsure whether your home is insude Hempnall parish, please get in touch with us.